The City Of Marquette Is Looking For Your Help | Upper Peninsula of Michigan Radio - Yooper News, Interviews, Pictures, and Calendar of Events - Great Lakes Radio, Inc.
MARQUETTE, MI – (Great Lakes Radio News) – The City of Marquette’s Presque Isle Park is currently competing online to win the 2011 “This Place Matters Community Challenge.” The city is currently ranked in the top 30 of 100. Each person is only allowed to vote once throughout the Challenge, and voting ends on June 30. 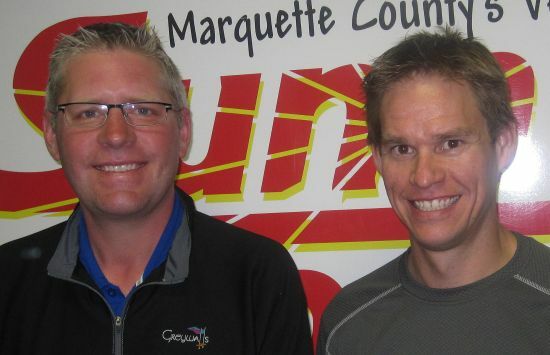 Marquette Mayor John Kivela and Dave Ollila from Marquettte Backcountry Skiing joined Mark Evans in the Sunny Studios this morning to inform the listeners of this current competition and how they can have an impact on it’s outcome by voting. To listen to the complete interview please click below.